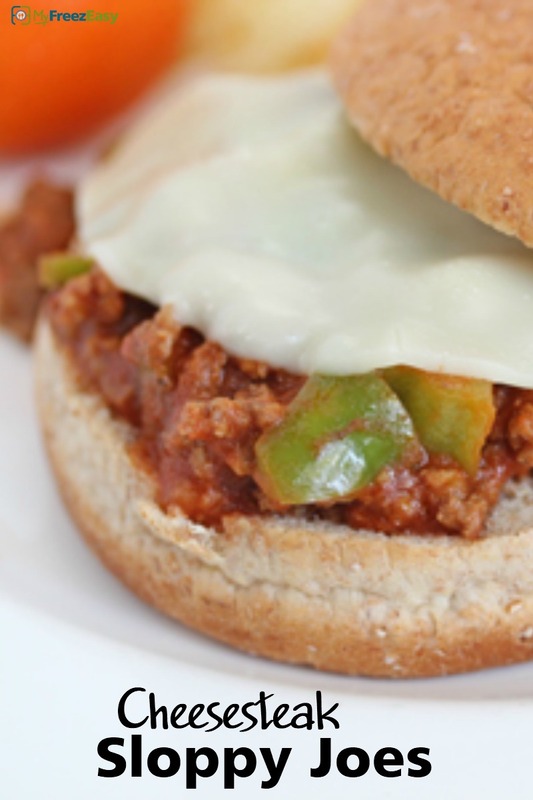 A little twist on the traditional sloppy joe! Add the sloppy joe sauce to skillet and simmer on low for about 5 minutes. Add the brown beef and chopped green peppers and combine. Simmer over low heat for another 5 to 10 minutes. 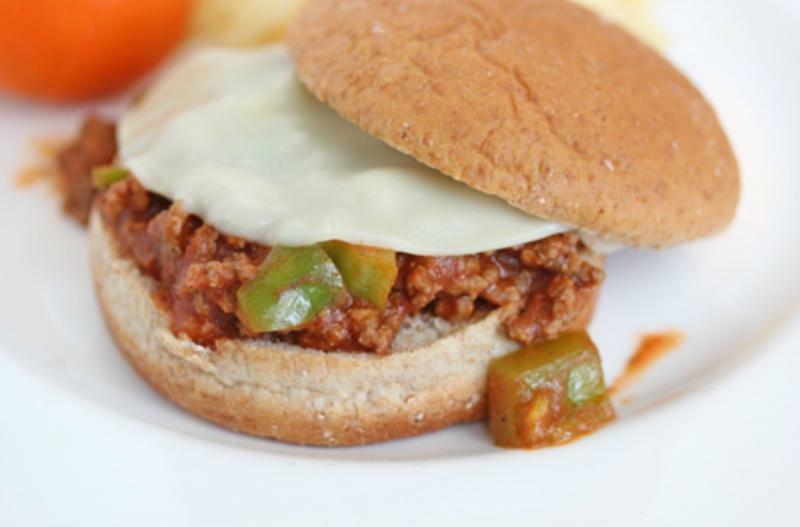 Spoon the sloppy joe meat over the buns and top with slice of cheese. Let the warm sauce melt the cheese, or microwave to melt the cheese if necessary. Serve Cheesesteak Sloppy Joes with chips and fresh fruit. Open 2 cans of sloppy joe sauce. Substitute can of sloppy joe sauce with homemade sauce: 15 oz. can tomato sauce, 1 Tbsp mustard, 2 1/2 Tbsp cider vinegar, 3 Tbsp brown sugar, 1 Tbsp minced onion, 1 Tbsp smoked paprika, 1 tsp ground cumin, 1 tsp garlic powder, 1 tsp salt, 1 tsp pepper. Omit the sliced cheese for dairy-free meal. Recipe is gluten-free when served over rice or on gluten-free sandwich bread. Thaw and reheat the sloppy joe meat over low heat in large skillet.